The Republic of Mozambique, located in Southeast Africa, is bordered by Malawi, South Africa, Swaziland, Tanzania, Zambia, and Zimbabwe. Additionally, the former Portuguese colony is neighbored by the Mozambique Channel and the Indian Ocean. With nearly 26 million inhabitants, Mozambique is the 12th most populated country on the African continent. Besides its popular fresh sea food, the member of the Southern African Development Community (SADC) is famous for its diverse culture, colonial architecture, and swaying palms. 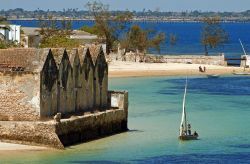 Mozambique also boasts multiple tropical islands, while the Portuguese influence remains noticeable. The capital city of Maputo is a popular destination, partly because of the colorful markets and vibrant nightlife. Although gambling is legal, only two land-based casinos are available, which both are part of a luxury hotel. The government of Mozambique has softened the gambling restrictions in an attempt to lure more tourists and investors. Local gambling enthusiasts also have a weak spot for sports betting, while lottery games are another popular leisure activity. Mozambican gamblers can freely enjoy internet casinos due to the legal status of online gambling. However, there are currently no local online casinos, forcing Mozambicans to play at foreign-based gaming sites. The majority of the Mozambican population speaks multiple languages, while Portuguese remains the official language. Needless to say that English is widely spoken and understood at tourism-related businesses. Mozambicans who like to gamble online definitely benefit from those language skills as most virtual casinos are available in several languages. Despite the fact that Mozambique is one of the poorest and less developed countries in the world, its gross domestic product has increased spectacularly since 2001. In fact, its economic growth rate is among the highest on the globe, according to World Bank. Nevertheless, poverty remains a massive problem, with approximately 54 percent of the Mozambicans living below the poverty line. Mozambique’s inflation rate accelerated to more than 25 percent in the last month of last year. After an unemployment rate of nearly 24 percent in 1995, the labor force participation improved slightly. In 2014, the unemployment rate stood at 22.6 percent. Corruption is another big problem according to Transparency International. With more than 1,8 million internet users, Mozambique’s penetration rate equals 6.4 percent. Thanks to the rapid development of mobile internet, an increasing number of gambling enthusiasts use a tablet computer or smartphone to enjoy their favorite online casino games. That’s also the case in Mozambique, although less noticeable. It’s not hard to understand why online casinos continue to gain popularity in the former Portuguese colony given Mozambicans’ inborn fascination with games of luck. How to deposit money in an online casino when I’m from Mozambique? Fancy a rewarding session of internet gambling after reading our “online casino Mozambique” page? Visit Royal Panda and take home an eye-watering 100% welcome bonus.